The beginning of a year has always been the right time to plan ahead for new initiatives and improvements. Today we look at the importance of project management 2019 for everyone who cares about projects. Here’s a go-to guide to help you out with re-arranging your career and education plans together for successfully starting a project manager career in 2019. For businesses, focusing on effective management of people and assets shall be the key to a steady growth in 2019. Managers and decision makers that didn’t get prepared for this year would likely be at a disadvantage, when in most situations they would only be reacting and firefighting instead of proactively reducing risks with effective planning. 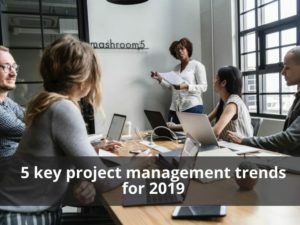 Considering our research across various industry experts from CapTIA, OHSC, Cybrary, CSU, vCare and other certified training providers, below we listed the 5 key project management trends for 2019. Over the last few years we’ve been observing an accelerated shift from cascade resource-based planning to Agile change management in most business environments. In this context, delivering on time and within budget will no longer be priority for effective planning as most project managers are focusing on delivering real-life benefits to businesses. Still 31% of project managers will continue considering budget as a criterion for project success. However, today the success of a project can’t just be determined by cost and time as the focus is moved towards business objectives and the ability to address the sustainability of change. This trend will continue to dominate in 2019, and businesses will likely abandon a traditional PMBOK /PRINCE2 framework and broaden their project management experience into a number of key areas. New technologies that have successfully been tested and implemented in a fewer businesses in 2018, will likely be popular in more companies and have a recognizable impact on their project management methods in 2019. Top breakthrough technologies like Internet of Things, Artificial Intelligence, Machine Learning, Blockchain, Virtual Reality, Augmented Reality, Mixed Reality, and Nanotechnology will change the way businesses think of and manage technology-driven projects. Consequently, the success of a project manager career in 2019 and following years will greatly depend on having strong experiences in these techs, and there will be more demand to drive technology-based projects down the line. In 2013 Richard Branson said, “One day offices will be a thing of the past.” Today we see that remote teamwork remains a key project management trend for 2019 and following years. With the fast-pacing adoption of Agile project thinking to businesses in 2019, companies will have to employ sustainable change management as a key concept of managing all in-house work processes. 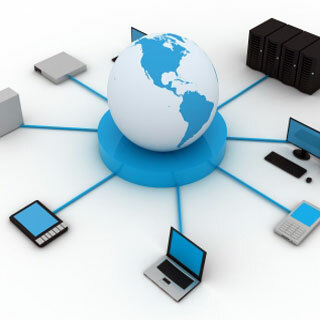 But teams will likely be geographically dispersed and do assigned tasks and activities outside their enterprises. Managing remote teamwork will be priority for team leaders and project managers in 2019 as the importance of remote and virtual teams grows from year to year thanks to reduced expenses, improved team chat tools (like Slack, Ryver and Fleep), and more flexible talent management. Soft skills and socializing will more important as project managers will have to focus on ensuring responsibility and accountability in cross-geographic Agile team environments. This year we’re going to see an increased demand for certified professionals in project management (PMP), program management (PgMP), and portfolio management (PfMP) from various businesses worldwide. This trend is specifically important for project managers from these industries: Software, Medicine, Construction, Baby Tech, Oil and Gas, B2B Data Monetization, Mobile Telecommunications. In 2019 we will see middle-sized and large companies investing much in building up their staff with relevant training and certification programs to cope with dynamic and challenging projects. Individual project managers and students will pay special attention to online courses (like Coursera, Linkedin, Udemy, Alison) to improve their competence and knowledge. As the use of data is now more impactful than ever, businesses will have to transform digitally in order to be more Agile and customer-centric. In 2019, project management will go deep digital and data-driven, and consequently businesses will be able to get higher revenues and continuous optimization across divisions and processes. Arvind Rongala from Invensis Learning thinks that digital transformation will be the need of the moment for project management in 2019. Companies of all shapes and sizes will have to digitize and streamline their projects to be innovative, people-oriented, efficient and able to leverage opportunities to break into predictable, data-driven revenue streams. Attending global conferences has been well known as an interesting and effective way to gather new ideas, improve operational skills and expand your own network of like-minded PM professionals from around the world. If you’re a big fan of proactive knowledge development, most likely you won’t miss an occasion to visit professional conferences that help you stay on current business and industry trends in 2019. Ideas and innovations of project management 2019 are going to be well presented in a variety of conferences, workshops and panel discussions that will bring in a great opportunity to start and improve your project manager career. 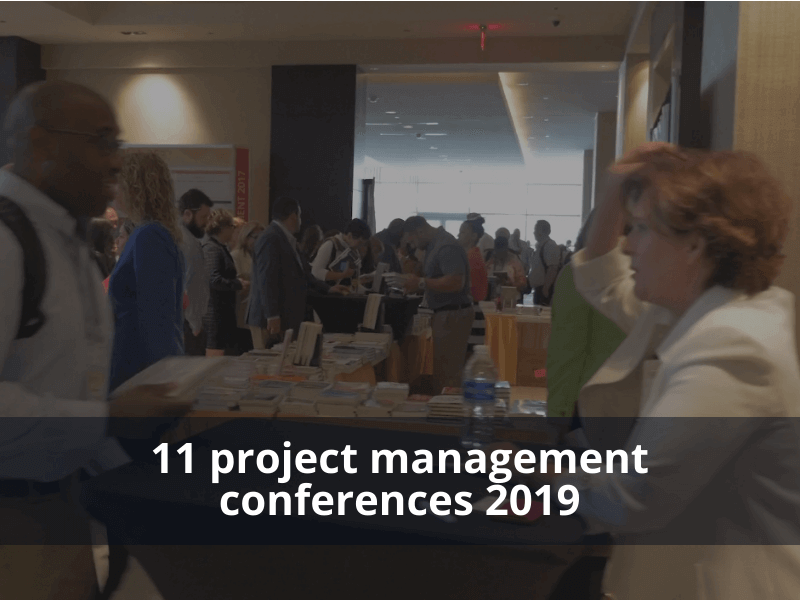 Below we prepared a list of 11 global project management conferences for 2019 in Europe, North America, Asia, and Australia. It’s a popular business conference “for people delivering products or projects who want to learn, share, lead and be part of something bigger”, learn more at deliverconf.co.uk. DeliverConf will be held for 2 days, March 6-7, 2019 in Manchester, UK. Ticket prices range from £108.20 – £203.15. The International Conference on Business, Management and Finance (ICBMF) is dedicated to “interdisciplinary business, management, and finance research”, learn more at icbmf.org. ICBMF will be held for 3 days, March 7-9, 2019 in London, UK. Ticket prices range from €120 – €280, plus extra paper fee €75. This conference is on “discussing results of scientific research in project management issues, to establish new contacts and networking between professionals involved in project management as well as enhance the capacity of project managers”, learn more at balticpmconference.eu. It will be live for 2 days, April 25-26, 2019 in Riga, Latvia. Ticket prices are €70 – €190. At this conference, you will learn “the concept, skills and behaviors you need to make a difference… and share experiences with your peers from around the world. And you’ll leave with skills you can apply straightaway to solve your challenges and develop your career”, learn more at pmi.org/emea-congress. PMI® EMEA Congress 2019 will be held for 2 days, May 13-15, 2019 in Dublin, Ireland. If you want to attend, you will have to pay €550 – €1,130 for tickets. This event is “carefully curated to teach you next-level, actionable strategies and tactics you can utilize the very next day to build & scale your remote team”, learn more on the official website runningremote.com. RunningRemote’19 will be held for 3 days June 29 – 30, 2019 in Bali, Indonesia. The pricing policy is fair enough, and you will have to pay $399 to $999 for passes. It’s “the largest series of conferences for project managers and business analysts in North America. These industry leading events feature expert speakers representing every sector, from all reaches of the globe”, as the conference’s reports at pmbaconferences.com. This big event will be held for 3 days, May 27 – 30, 2019 in Toronto, Canada. The pricing starts with $535.80 to $2,538. This conference aims to “support your professional growth and goals – allowing you to choose specific sessions, connect with fellow practitioners and create an experience to enhance your overall expertise,” visit the official webpage acmpconference.com/cm2019 to learn more. CM’2019 will be held 4 (!) days, April 28 – May 1, 2019 in Orlando, Fla., USA. They want $1,999 – $2,705 for event tickets. 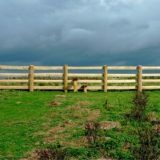 This conference is “a grassroots, volunteer run conference that helps people learn about agile principles and practices as well as covers topics that help make people and companies awesome”, as reported on agileandbeyond.com/2019. Agile&Beyond 2019 will be held for 2 days, May 30 – 31, 2019 in Detroit, MI, USA. Ticket prices range from $379 – $599. This conference counts “1,000+ Scrum and Agile practitioners from across the globe who “come to-gather” for new ideas, community collaboration, and an opportunity to create essential connections”, see more at events.scrumalliance.org/austin-2019. The conference will be held for 3 days, May 20-22, 2019 in Austin, TX, USA. Be ready to pay $1,355 – $1,795 for tickets. It is dedicated to “delivering the right methodology for your PMO while ensuring stakeholder support”, learn more at criterionconferences.com. The PMO Leadership Conference 2019 will take place for 2 days, February 26 – 27, 2019 in Sydney, Australia. It’s not expensive enough, you will have to pay $200 – $999 for event passes. 11. ICPME 2019 by IPMA, Spain. Annual International Congress on Project Management and Engineering (ICPME) is expected to be “an international forum for discussion and debate for all Project Management and Engineering companies and professionals, especially those experts, researchers and trainers involved in the formation of future professionals in the field.”, learn more at ipma.world. ICPME event will be held for 2 days, July 10-12 in Málaga, Spain. Be ready to pay for entry passes. As R&D and IT-driven industries grow, companies express an increased demand for certified project managers. 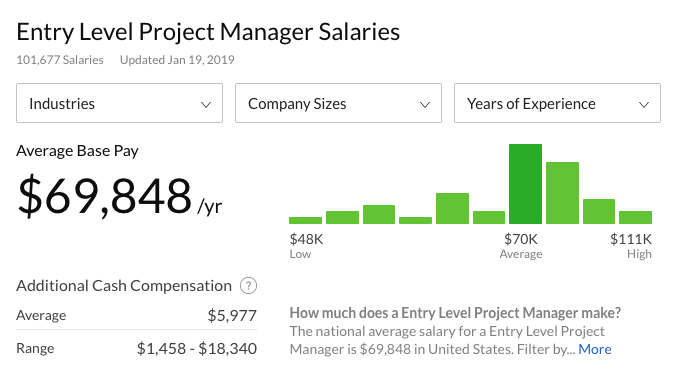 If you decide to build your future career as a professional project manager, 2019 is a great time to study the domain, get PM certification, and find the job of your dream. Before you even begin your project management journey, you have to figure out if this career is right for you. First, take a look at the PMI’s forecast below that outlines top-11 countries by estimated PM jobs. 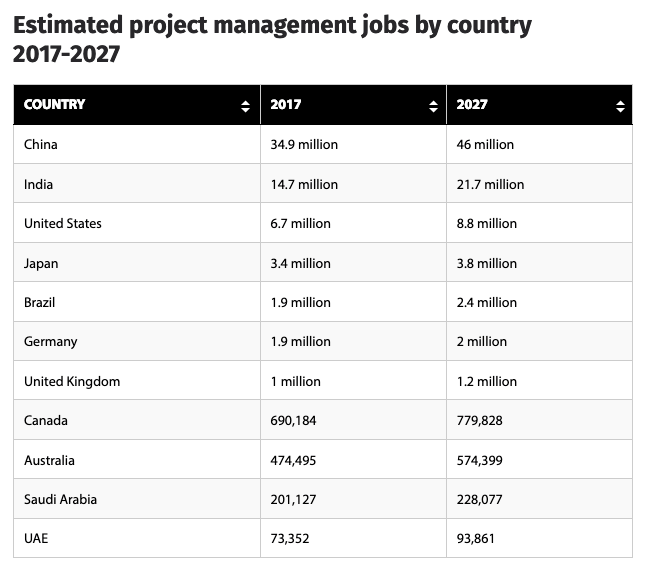 China and India are taking the lead by offering candidates the greatest number of career opportunities for project managers. 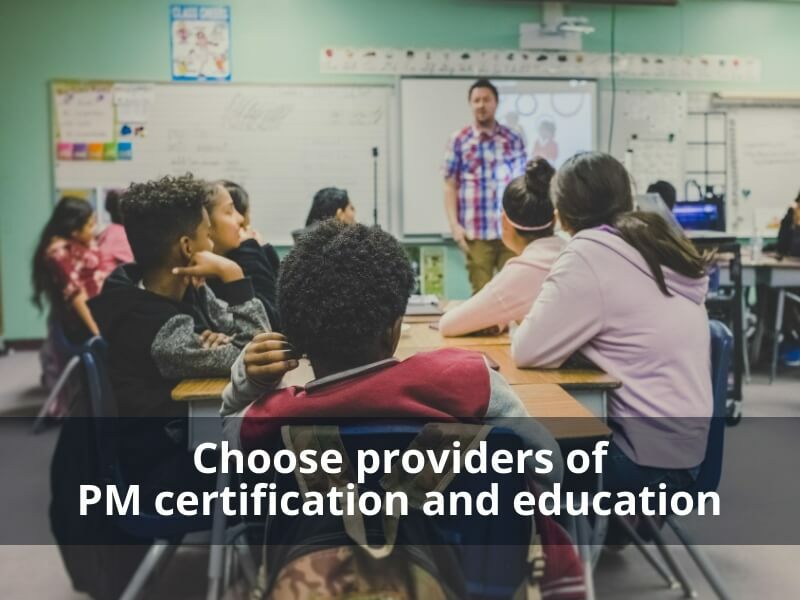 Note that almost every PM-related role in those countries requires a proper certification, which means that you have to get certified for project management before applying for the role. Project Manager Salaries by Years of Experiences in the United States. See the PMI’s job growth report to get more insight into the role and salaries. After you figure out what annual salary you can expect to get for a project manager’s role in your country, your next step will actually be starting your education to become a PM professional. Start with taking some introductory online courses to get your first look at this subject. Udemy and Coursera will be fine. Each of these websites provides free online courses (text and video) as well as paid content that starts with $11.99 per piece. Other online course providers where you can enjoy online project manager education are edX, Alison, Simplilearn. One of the best things you can do when studying online is, speak with experienced project managers and discuss tasks and assignments for real-life use cases. Also, some IT companies and tech startups prefer launching project management internship programs on various education websites and training resources to seek the best candidates. You can consider applying for such programs to try a project manager internship, even without having experience and knowledge in this subject. After you successfully complete introductory online courses, take a look at advanced education providers like universities in your region. For example, in the United States you can earn a degree in the field of project management in the Colorado State University and in the Liberty University. Also, consider Purdue Global University which offers one of the greatest distance education opportunities for students worldwide. As to certification, we do not recommend that you get just any project management certificate you find on the Web. 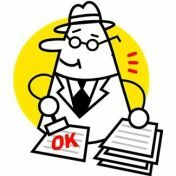 Keep in mind that in some countries employers don’t even accept certain certificates, while online certifications are almost useless. Also, refer to the Capella University’s list of 7 top paying PM certifications. When it comes to managing a project, project management software can help you do your duties, collaborate with the team, and eliminate the hassle of working with paperwork. Many companies start with the Google Suite to manage any facet of their projects, including documents, files, tasks, schedules, slides. Google provides a full set of collaborative tools that can help remote and office teams to work towards the same goals and activities. See the top list of project management software and tools by Capterra. Most likely, when you join a project team, you will have to use the software they’ve been already using. However, you need basic familiarity and knowledge of the must-have functionality and tools that project managers and teams use whatever project they’re on.